The Christmas holiday usually means lots of parties and get-togethers and this year was no exception. Although the year coming to a end, there is still ONE more party to either host or attend, NEW YEARS! Out with the old and in with the new! This weekend, I tried out a menu that was simple and perfect for our final hurrah which you can duplicate at your end of the year party. 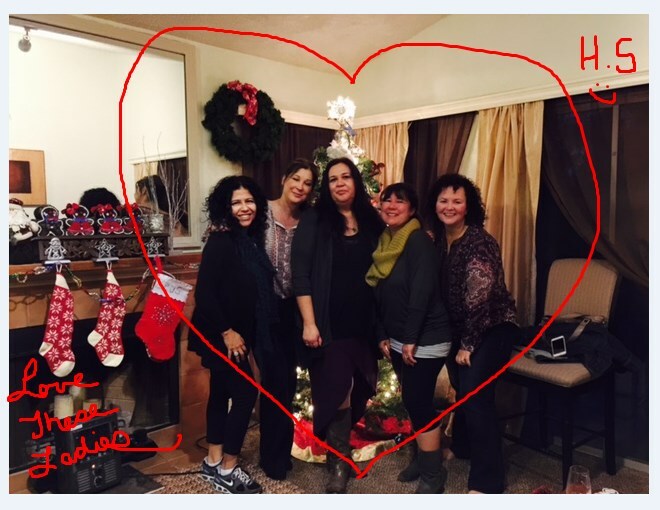 Each year at Christmas, I try to get together with my high school girls friends. A few of them have moved away so this annual event is a great way to reflect on the past year and look forward to the new year to come. Wow, how the years seem to pass us by. Even though we only get together once or twice a year, it always feels like yesterday. As you know, with any good get together, there has to be great food & a few drinks... those always go hand-in-hand in my book. So, stressed for time, I put together my Pre-New Year menu. Lucky for me, these ladies are pretty easy to please... the menu was simple and delicious with just the right amount of variety. 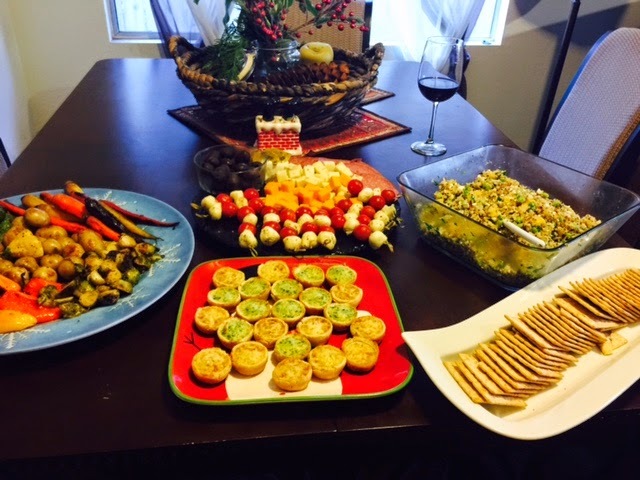 One great rule of thumb for hosting a party is DO NOT try to make everything by yourself! Accept help where you can, either by having a friend bring the dessert or purchasing a few good, ready-made appetizers that you know everyone will enjoy. I hope you'll give my "simple & delicious" party menu a try! 1. Rinse quinoa in water and place in a medium size saucepan with 4 cups of water, 1 teaspoon salt , McCormick seasoning and pepper. Bring to a boil. Reduce heat to low and simmer covered approx. 15 minutes or until water is absorbed. Set aside to cool. Tip: This can be made a day ahead. 2. Combine the mango, parsley, edamame, green onion and toasted almonds in a large bowl. Set aside while you make the dressing. 3. To make the dressing - place the olive oils, vinegar, lemon juice, shallot, Dijon mustard, salt and pepper in a jar and shake well to combine. 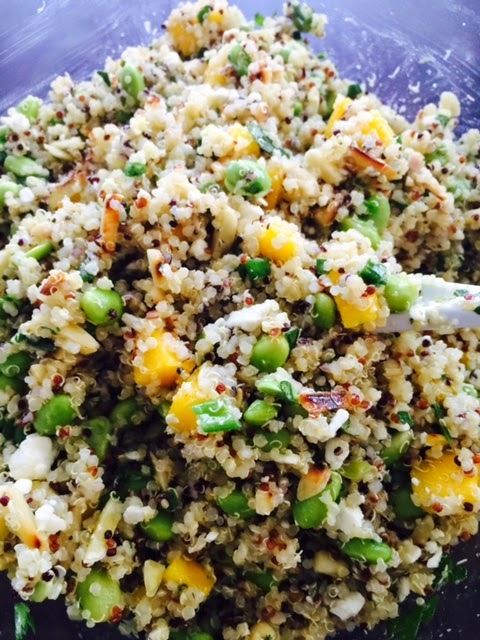 ~ Fluff the cooled quinoa with a fork and add it to the mango mixture. ~ Add the Feta Cheese and toss gently with a fork to combine. ~ Shake to salad dressing one more time to combine and pour the dressing over the salad mixture. Toss gently to combine and distribute the dressing. 1. 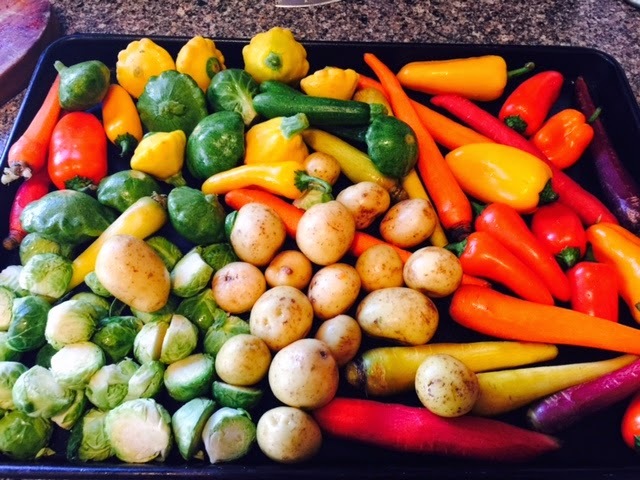 Rise and dry all vegetables and put on a large rimmed baking sheet. 2. Sprinkle about 3-5 tablespoons of olive olive, and salt and pepper to taste. Toss by hand to coat. 3. 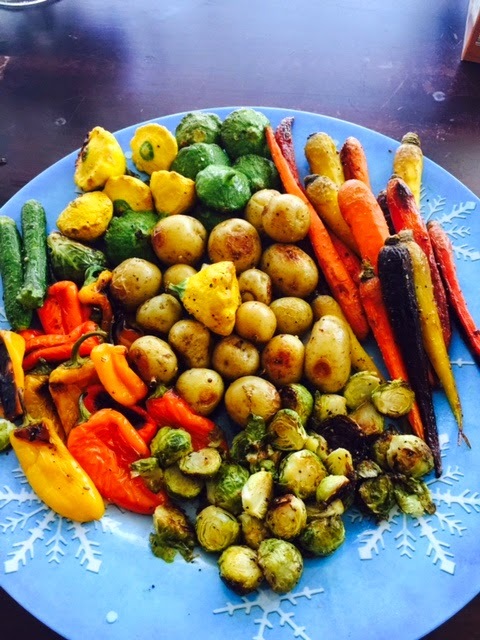 Roast in the oven for 15-20 minutes. 5. 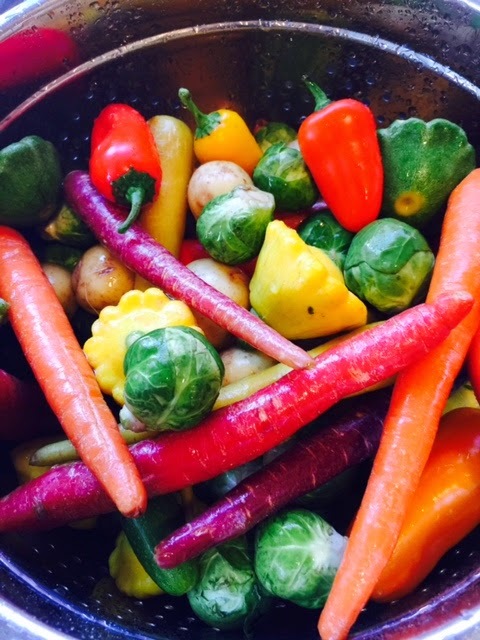 Remove from oven and serve warm or room temp. 2. Cut the cheeses in to 1/2-1" squares. Add to middle of platter. Arrange Salami next to cheese. 3. Take 4oz block of cream cheese and using your hands shape into a thick disk. Arrange on platter. Add the 3-4 tablespoons of Jalapeno Jelly on top. 4. 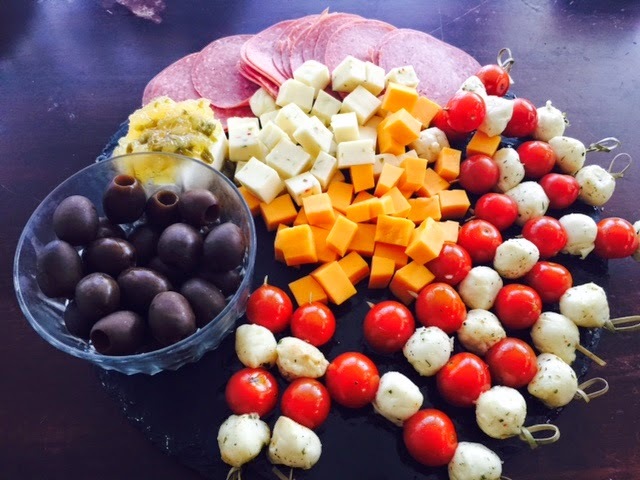 Put the olives in a nice glass bowl and arrange on platter. 5. To assemble the skewers - alternate tomatoes and mozzarella balls. Sprinkle with a little salt and pepper. Arrange on platter. Refrigerate until ready to serve. 6. Arrange crackers in a platter next to the cheese platter. Costco buy.... honestly this a great appetizer that always gets eaten. You can also find them at Trader Joes during the holidays. The platter you see in this picture is not the one from last night's party.... unfortunately, I forgot to buy blackberries when I was at the store (DARN!). 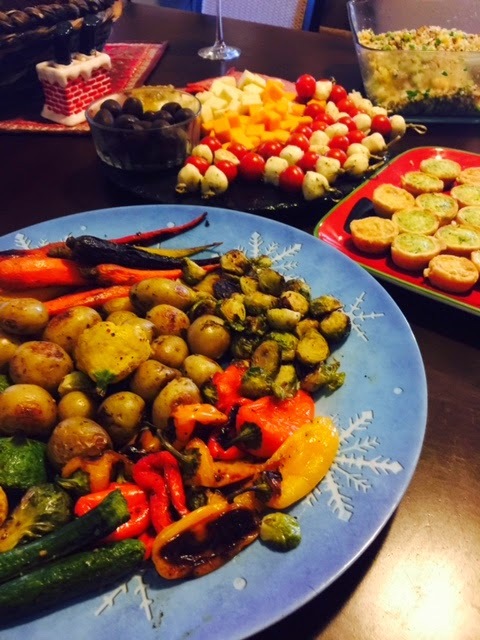 This recipe (from a previous event) was too good not to share and would be perfect for New Year's Eve. It's super easy to make and absolutely delicious. Plus, it looks beautiful too! 2. Brush the sliced bread with olive oil, on both sides. Sprinkle lighty with kosher salt and put on cookie tray. 4. Mix the goat cheese with the honey until completely combined. Once bread has cooled spread about 1 1/2 teaspoons onto one side of the bread. 5. 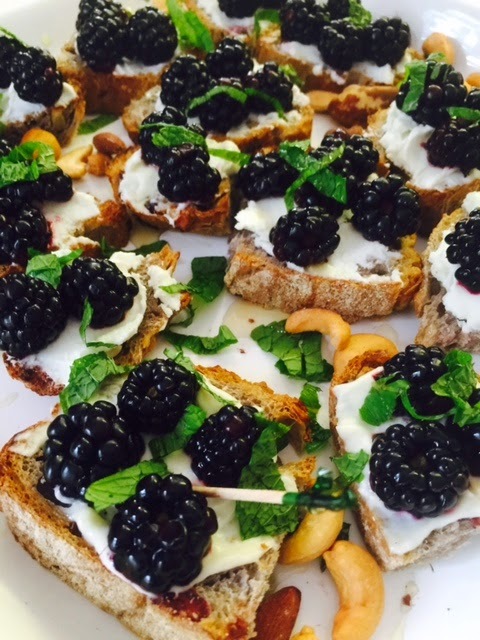 Arrange 3-4 of the cut blackberries on top of the goat cheese and garnish with mint. 6. Arrange crostini on a nice platter. 7. Sprinkle the nuts around platter to fill in the holes. 8. Refrigerate until ready to serve! NOTE: you can use Vegan cheese instead of the Goat cheese instead. Faye was the tester for that one, its delicious! ....AND FROM FAYE AND I, " HAPPY NEW YEAR" MAY YOUR YEAR BE FILLED WITH LOTS OF FRIENDS, LOVE AND GOOD FOOD!!!! 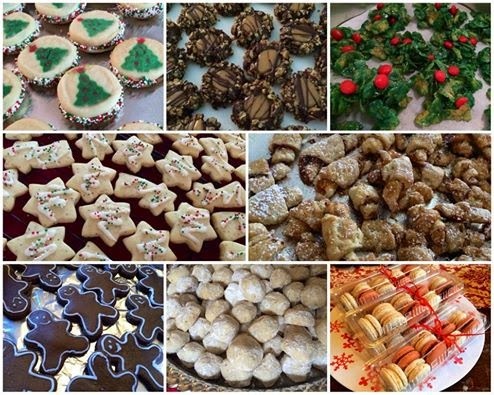 Our annual Christmas Cookie Bake is an event I look forward to each year and this year was no exception. The morning starts off with a yummy breakfast (along with a few mimosas! ), then we get into full baking mode (after about 30 minutes of singing and dancing to Teresa's Top 40 playlist and Last Christmas by Wham). 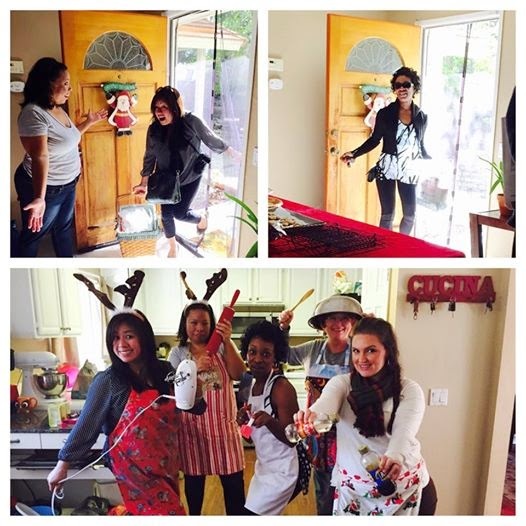 After all, cookie baking is serious business, you know? After several hours of baking (more singing and dancing), we break for lunch which is usually some type of homemade soup and sandwiches, but this year I got a break from cooking and the girls brought lunch! Our cookie bake is different from a cookie exchange because we're not just getting together to eat and exchange cookies (although an awful lot of eating does go on), we actually bake cookies together! Have you ever been alone in your kitchen baking and wished you had company, well then this is the event for you! Over the years we've fine tuned the Cookie Bake, going from an all day, exhausting event (and I'm not exaggerating here) to about 6 hours. This may seem like a lot, but when you see the payoff in cookies, you'll agree that it's well worth it. 1. Limit your group to 4-5 people. Anything more than that and it become difficult to manage, plus you have to increase the amount of cookies you need to bake! 4. The hostess should have a double oven!!! (triple exclamation points). I've moved a few times over the years and trust me when I say that a single oven just won't cut it. 5. Plan to exchange one dozen of each type of cookie. If you have 5 people participating, that means you bake 5 dz of each cookie. 6. Finalize the list of cookies being made ahead of time and try to make sure you have a good assortment, cover your flavor base - chocolate, lemon, with nuts and without, bar cookies, drop cookies, jam filled cookies and no bake cookies. Throw in some candy, fudge or mini loaves of quick bread while you're at it! It's the holidays baby, indulge! 7. Make sure you include the classics, the cookies people look forward to and expect during the holidays like gingerbread men and/or sugar cookies. 8. Unless you're super woman, think long & hard about baking sandwich cookies. Each sandwich cookie requires 2 cookies so you have to double the amount you're making. If you need to make 5 dz cookies, that's a total of 10 dz cookies you need to make. Yikes! 9. Cookie dough that requires chilling should be made in advance and brought to the event already chilled. Better yet, bring the cookies already baked and decorate them the day of! 10. If possible, try to have your guests pick recipes that bake at the same temperature (ie 350f). This ensures everyone can bake their cookies at any given time without having to wait to switch the oven temperature. 12. Set up work stations for each person & have them be responsible for cleaning their area when they're done. This ensures you're not left with a mess at the end of the day. 13. Try to have ample equipment including cookie sheets and cooling racks. If you don't have extra mixers, measuring cups/spoons, baking sheets, cooling racks etc..., ask your guests to bring some from home. One year, I gave each guest a set of measuring spoons as a party favor. 14. If possible, set up a separate area for cooling, decorating and displaying. I usually set this up in a different room. 15. Have everyone take turns washing dishes. Busting suds never hurt anyone! 16. Remind everyone to bring their own containers to take their cookies home. This may seem obvious, but this is one of those last minute details that's easy to forget. 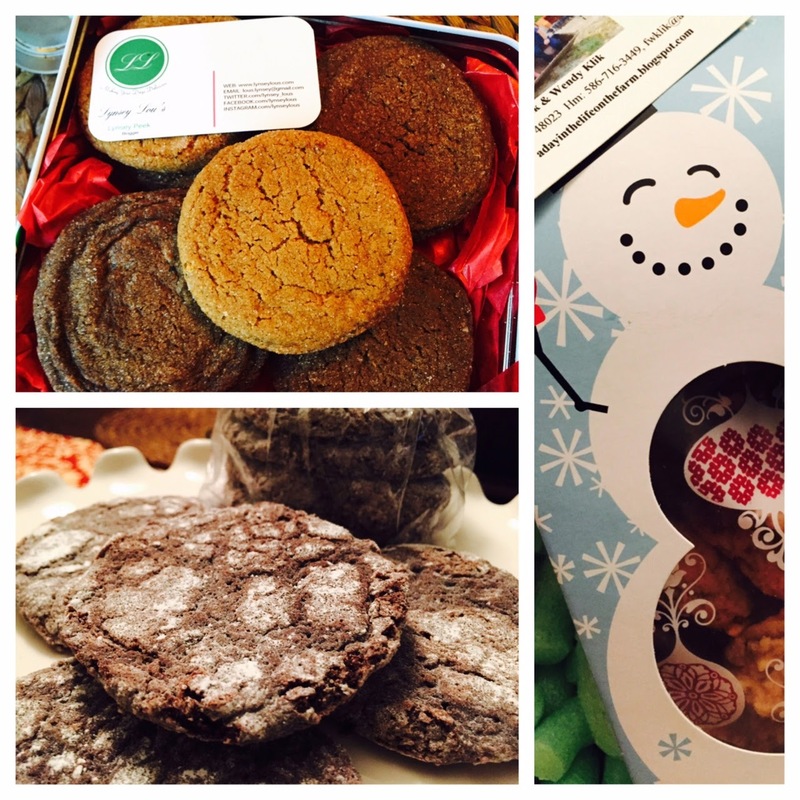 Carrying 5 dozen cookies home in your hands could get pretty messy, plus how would you drive? 17. Last but not least, share. 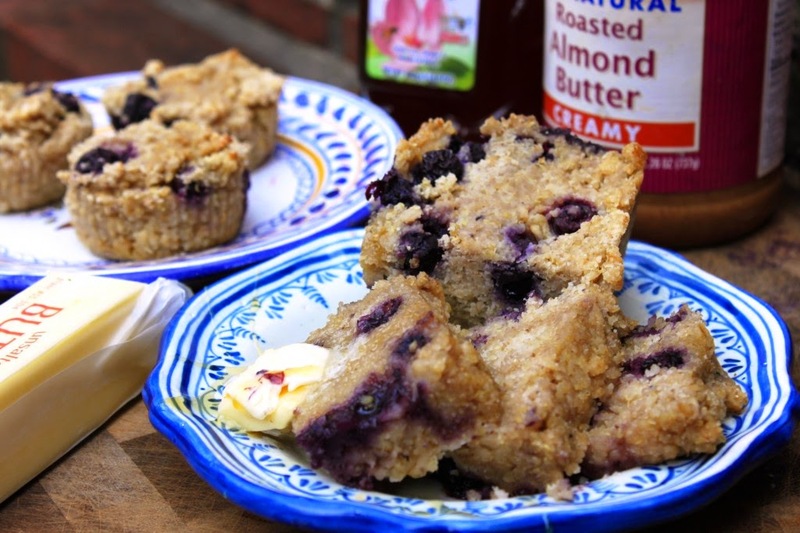 Baked goods are made for sharing with family, friends, co-workers and neighbors. 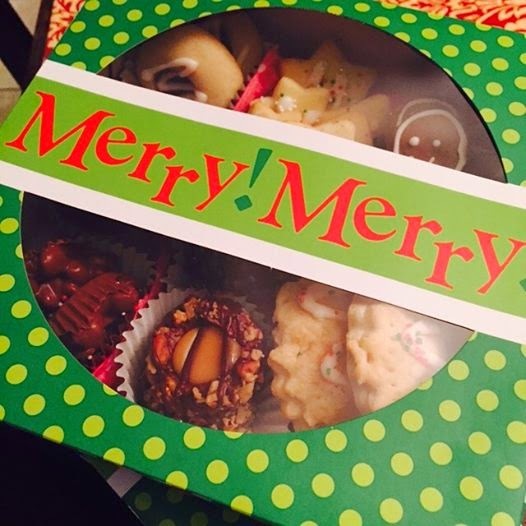 Pick up cute packaging for gift-giving, create a cookie tray to share at work. There's nothing better than a gift baked from the heart. People will love you for it. 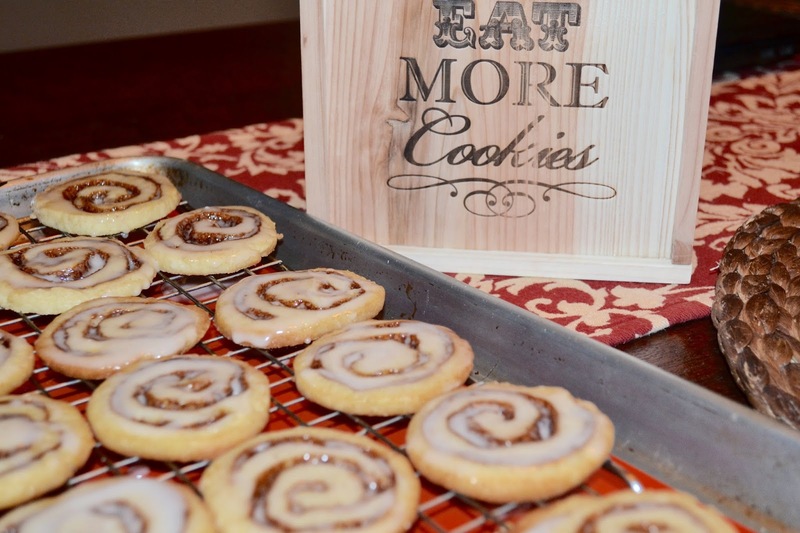 So there you have my tips for hosting a successful cookie bake! At the end of the day, the main point is to have fun, so don't stress. 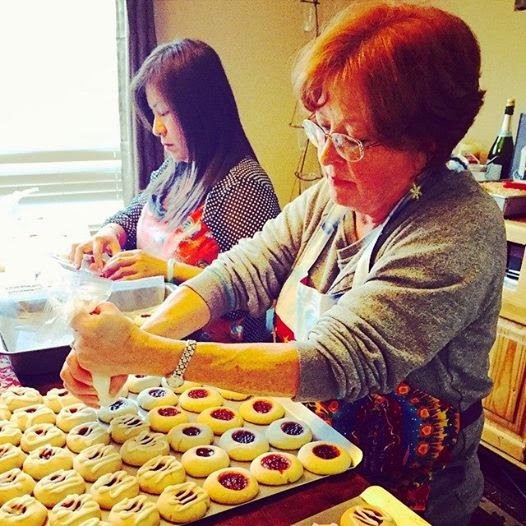 Cookies will be burnt, sugar will be spilled and ovens may catch on fire (true story), but you will have delicious cookies and a heart full of wonderful memories to take with you. 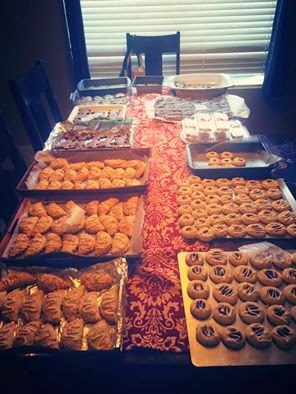 Although we've been having our annual cookie bake for over 12 years, we've only been able to chronicle the event since starting LiveBakeLove. 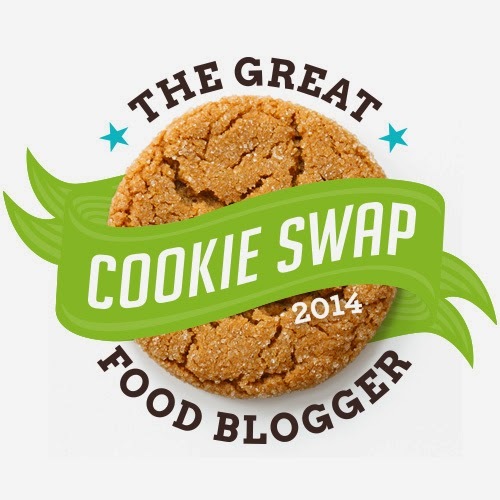 For me, participating in the Great Food Blogger Cookie Swap is an event I look forward to each year. Swapping cookies with fellow bloggers is a lot of fun, but more importantly the event raises money for pediatric cancer research. Raising money to find a cure for cancer is a cause that's near and dear to my heart. Both of my in-laws recently lost their battle with cancer and this is my way of honoring their memory. First and foremost, I have to give a big, heart-felt shout out to Lindsay from Love and Olive Oil and Julie from The Little Kitchen for all of the time and dedication they put into organizing this event each year. 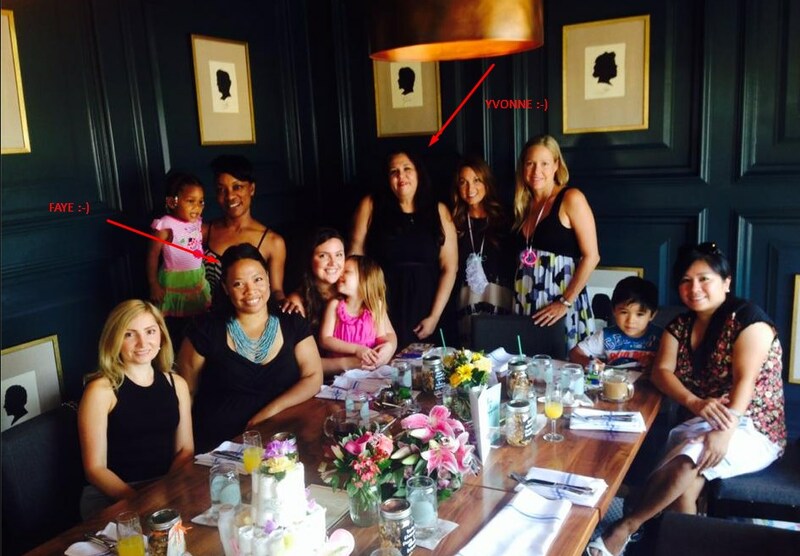 I'm sure managing a project involving over 500 bloggers is a huge undertaking. 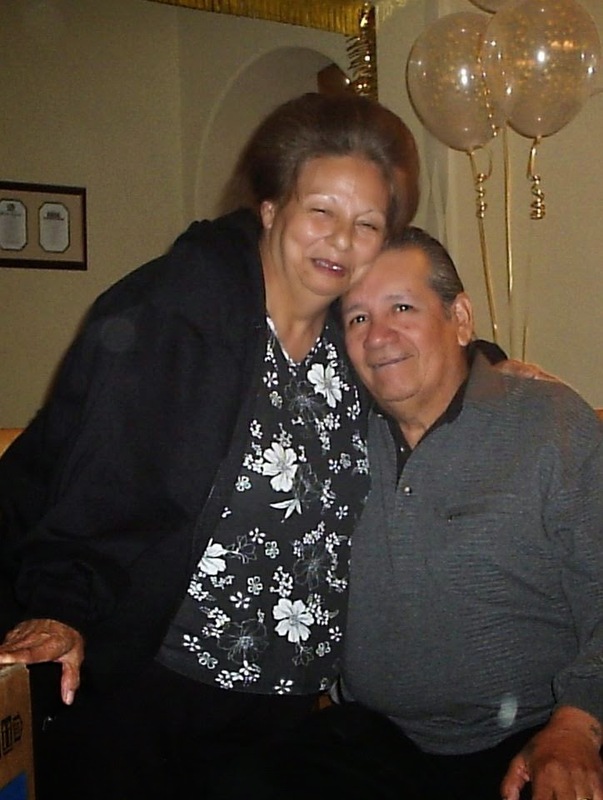 Much love to you both! 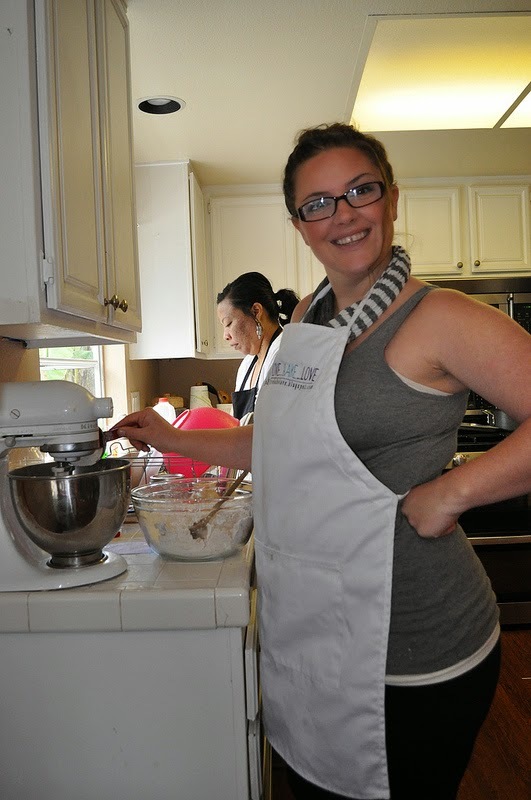 Now, I have to admit that swapping homemade cookies with fellow bloggers can be intimidating because you're essentially baking for other experienced bakers, some of whom you admire and follow their blogs. 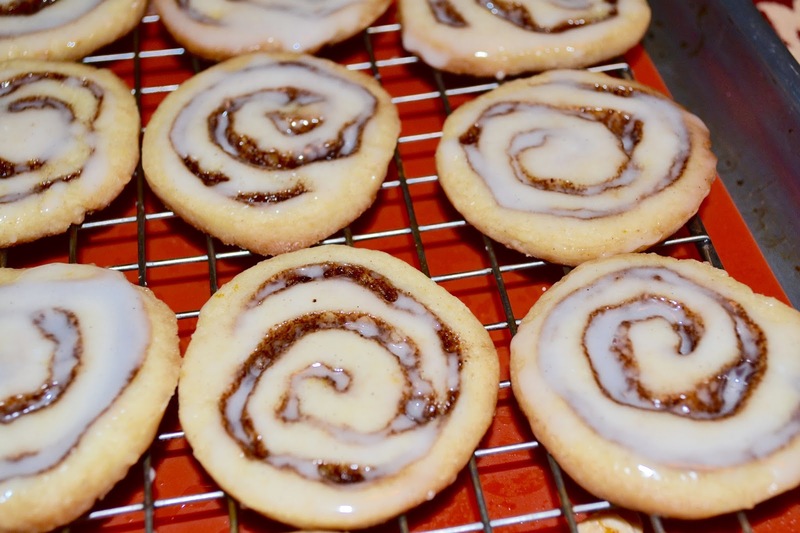 Deciding what to make is usually an agonizing decision for me, but one look at these Cinnamon Roll Cookies from Wanna Come With and it was love at first sight! Everything about these cookies made me want to reach through the screen and take a bite. I put my own "holiday" spin on them by adding pumpkin spice to the filling. I love the combination of pumpkin, cinnamon and orange zest. You may have already read about my aversion to rolled cookie dough from last year's swap when I made these delicious Vanilla Bean Shortbread Cookies with Salted Dulce de Leche Filling, but the annual Great Food Blogger Cookie Swap is definitely one occasion where I am willing to bite the bullet. These babies (yes, I call my cookies babies) were sent to Kathy at Panini Happy, Preeti at The Big Fat Indian Wedding and Natasha at The Cake Merchant! 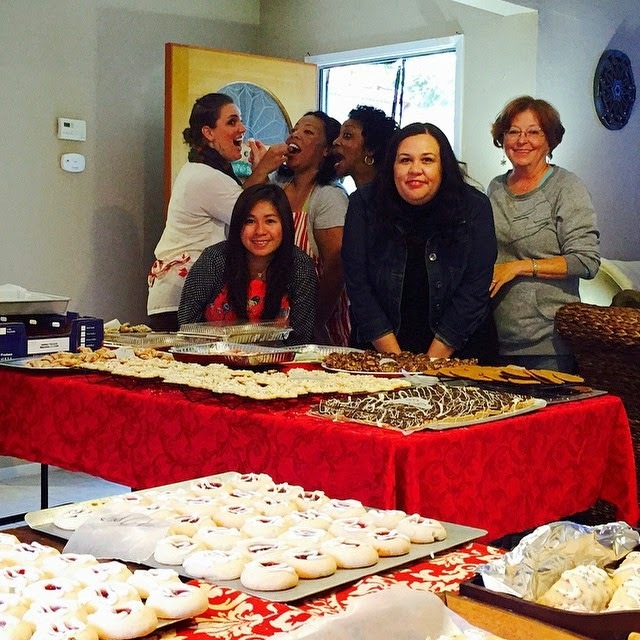 Each of these women have amazing blogs and I hope they enjoyed the cookies! In exchange, I received the most amazing Brown Butter Molasses Cookies from Lynsey Lou's (seriously I was obsessed with those things and I ate 3 of them within 5 minutes of receiving the package! ), the softest Double Chocolate Crinkle Cookies from Blahnik Baker and who wouldn't love Almond Joy Cookies from A Day in the life on the Farm. Thanks so much for the delicious cookies!! If you want to participate in this worthy cause, have fun and receive lots of cookies in the mail (and who doesn't! ), sign up here to be notified about next year's swap. I promise you won't regret it! Combine all of the filling ingredients in a large bowl and mix at medium speed using an electric hand mixer until well combined, light and fluffy. Set aside. In a small bowl, whisk together the flour and pumpkin spice. Set aside. In the bowl of your stand mixer fitted with the paddle attachment (or using your electric hand mixer), beat the sugars, salt and orange zest at medium speed until light and fluffy (approx. 3 minutes). Scrape the sides and bottom of the bowl with a rubber spatula. Add the egg and vanilla and mix on low speed until well combined. Scrape down the sides and bottom of the bowl again. Add the flour mixture and mix on low speed just until combined. Place dough on a sheet of waxed paper and roll into a 12" square. The dough should be easy to handle, if for some reason your dough is slightly sticky, stick in the fridge for a few minutes. When ready to roll, spread the filling onto the dough in an even layer. Roll the dough into a log, making sure you roll tightly. Wrap in plastic and roll a few times back and forth to help shape the log. Place in the freezer for 20-30 minutes or until firm. When ready to bake, preheat oven to 375f and line baking sheets with parchment paper. Using a sharp knife, cut the log 48 slices that are 1/4" wide. Tip: It helps to rotate the log a quarter turn after each slice to retain the shape. Place the slices on prepared baking sheets and bake approx. 12 minutes or until the edges are lightly browned. Allow to cool a few minutes on the baking sheet then remove to a wire cooling rack to cool completely before glazing. To make glaze - combine all ingredients in a medium size bowl and mix to combine. Adjust to your desired consistency (glaze should be thin and easy to spread but should not be too runny). Lightly brush on each cookie with a pastry brush or place in a pastry bag (or plastic storage bag with corner cut off ) and drizzle on each cookie. Allow glaze to dry. Store leftovers in a single layer in an airtight container for up to 2 days. Make some today, you will not regret it! In a small bowl combine the streusel ingredients (brown sugar and cinnamon only). Set aside. In a small bowl, combine the flour, baking powder and salt. Set aside. In a large bowl, cream the butter and granulated sugar together with an electric mixer until light and fluffy. Mix in the eggs, one at a time, mixing well after each addition Scrape down the bottom and sides of the bowl. Mix in the vanilla extract. Mix in the flour mixture, mixing just until combined. Add milk and mix just until combined. Dollop half of the batter into the prepared loaf pan and spread into an even layer. Top with half of the brown sugar cinnamon mixture and half of the diced apples. Lightly press the mixture into the batter. Dollop the remaining half of the batter into the pan and spread into an even layer. Top with the remaining apples. Lightly press into the batter. Lightly swirl the streusel into the batter with a skewer or handle of a spoon. Place on a baking sheet and bake 30-40 minutes until a toothpick inserted comes out clean. Cool on a wire cooling rack for 30 minutes. Remove from pan and place on cooling rack. Top with glaze. Store leftovers at room temperature tightly wrapped for up to 2 days. 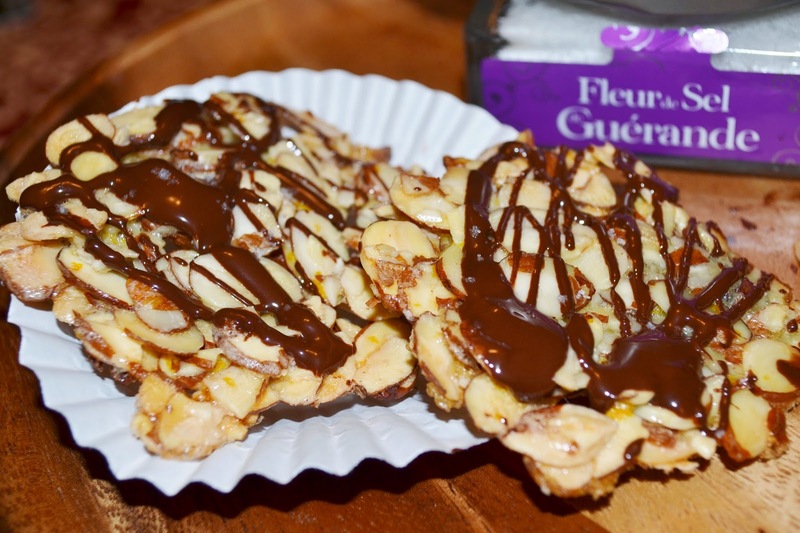 Florentines have to be one of my favorite holiday cookies. They're thin, crispy and delicious! This version gets dipped in dark chocolate and sprinkled with a light dusting of Fleur de Sel direct from Paris thanks to my friend, Teresa. The orange zest is a delicious complement to the dark chocolate & almonds and really brightens up the flavor. Added bonus is there's no flour in this recipe so they're gluten free (just make sure your powdered sugar doesn't have any hidden gluten)! 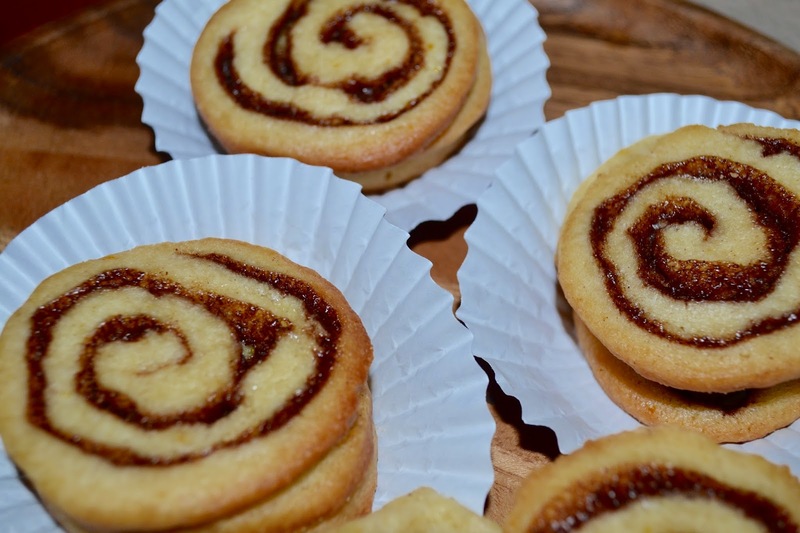 If you're looking for an easy and delicious cookie to make this holiday, this one is it! Line baking sheets with silpat or silicone baking mat and spray with non-stick cooking spray. Place the almonds, powdered sugar, orange zest in a large bowl and toss gently to combine. Add the egg whites and fold gently with a rubber spatula until thoroughly combined being careful not to break the nuts. Wet your hands with cold water and place 1/4 cup sized balls onto the prepared baking sheets about 5 inches apart. Use your fingertips to carefully "spread" each ball into a thin layer. 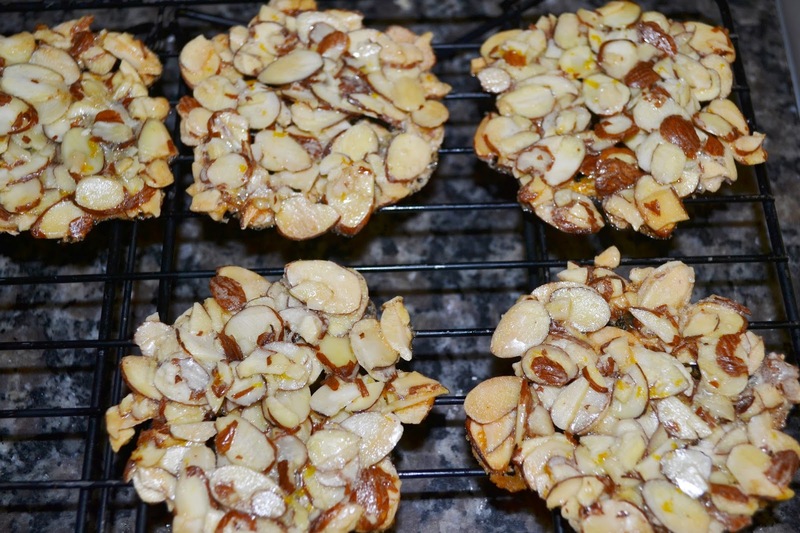 The cookies should be about 3" wide and there should be no gaps/spaces between the almonds - try to make sure the almonds are touching so they adhere together while baking. Continue to wet your fingertips during the spreading process as needed to prevent the mixture from sticking to your hands. Bake at 300f for 20 minutes or until golden brown. Remove from oven and place baking sheet on a wire cooling rack to cool. Remove the cookies from the baking sheet when cool. Place chocolate in a microwave safe bowl and melt in the microwave. Spread chocolate on the bottom of each cookie and sprinkle lightly with a little Fleur de Sel (flaked sea salt would also work). 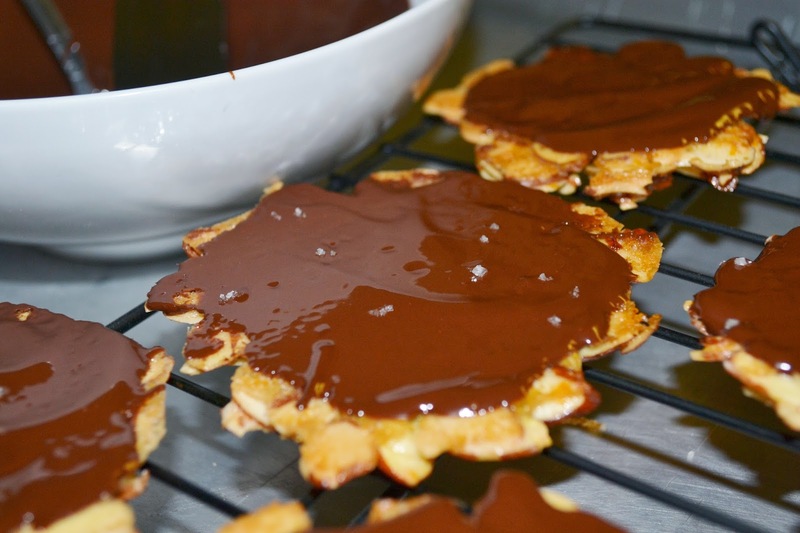 Place the cookies chocolate side up on a cooling rack and allow chocolate to set. Since I was shipping these cookies, I was concerned about the chocolate melting and getting messy during transit so I just drizzled chocolate on half of the cookies to cut down on the mess. Either way you decorate them, they're delicious! Store leftovers in an air tight container for up to 2 days.